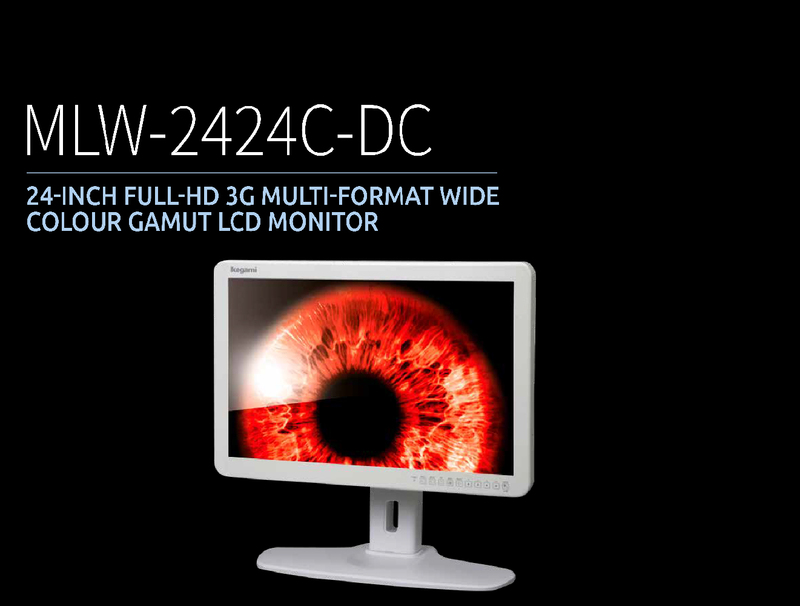 The MLW-2424C-DC is a 3G Multi-Format 24-inch LCD Monitor for specialist applications where high quality picture and true colour rendition with wide colour gamut are needed. Also, MLW-2424C-DC employs the touch switch control panel to improve the operability during operation. 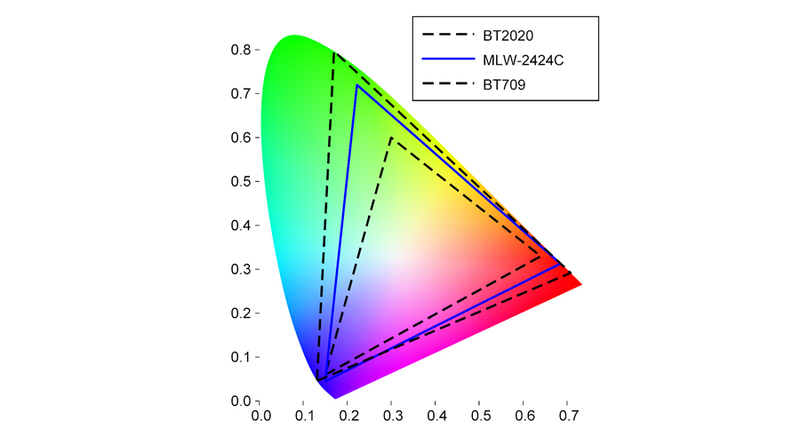 Wide colour gamut can be represented with wider gamut than BT709/SMPTE standard. Colour gamut setting is selectable for user’s favorite.